By: Amanda Marks of Who Are You Calling Crafty? 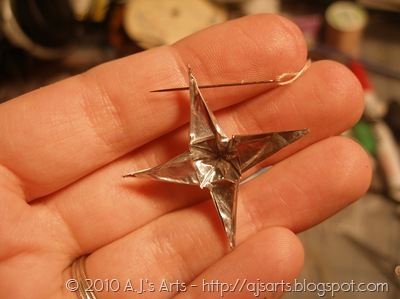 Get creative with origami and a tea light candle. 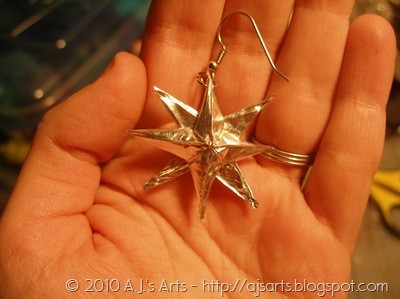 Make these origami star earrings and you'll be the talk of the town just like Amanda Marks. DIY jewelry is the way to go when you're trying to be eco-friendly. 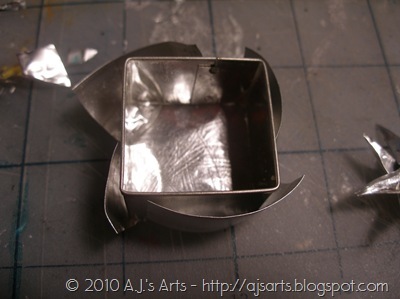 Take a tea light candle tin. Make four cuts one on each side. 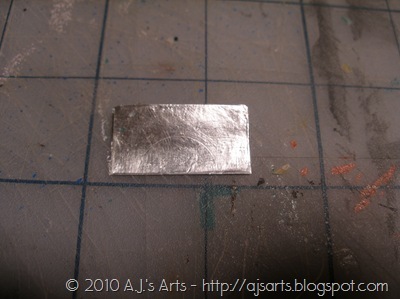 Take a medium square clay cutter and push it down. 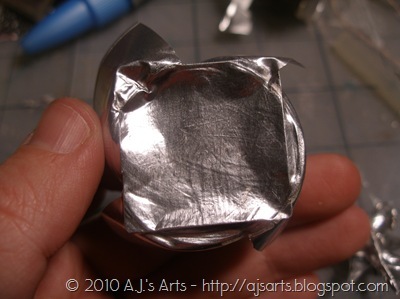 Rub the bottom side of the tin so the square shape shows. Cut out the square. Smooth the square with a bone folder. Fold in half. Crease with a bone folder. Fold the other way. Crease with a bone folder and open to look like the above photo. 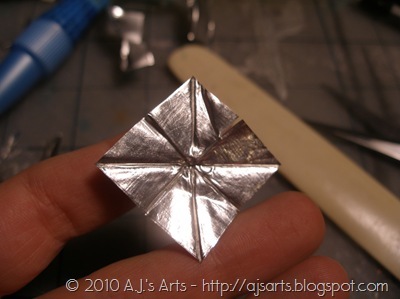 Fold into a triangle. Crease with a bone folder, trim with scissors. 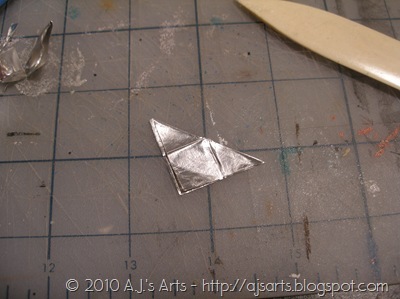 Fold the other way to form a triangle. Crease with a bone folder, trim with scissors, unfold. 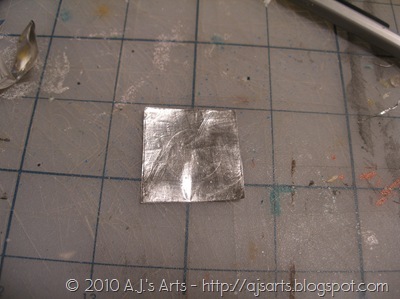 Make four cuts – the ones that form a square. Cut about 1/2 way up. 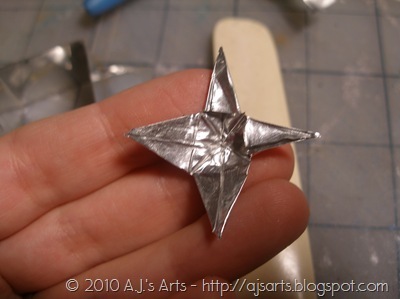 Fold each piece in forming a triangle. Take each triangle an fold left over right so the point pops up. 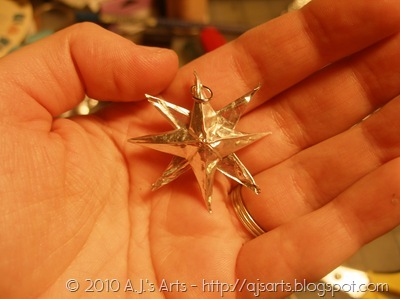 The star should look like this. 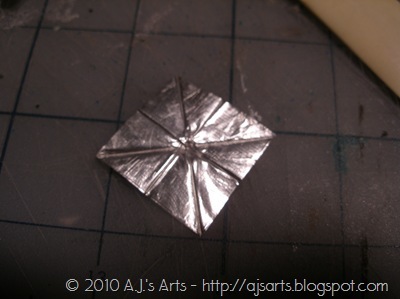 I then put a needle through the tip so I could put a jump ring through it. 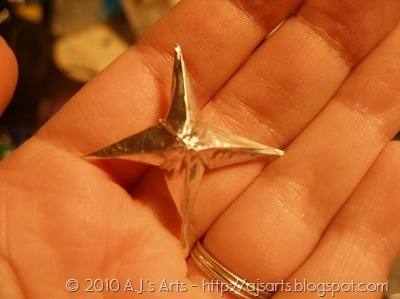 I made another star the same exact way. I hot glued them together like this. 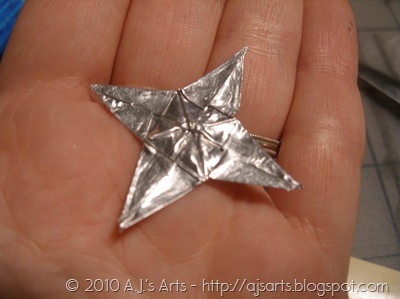 This process was a little on the warm side so be careful with the hot glue. I then attached the fish hook earring to the jump ring. 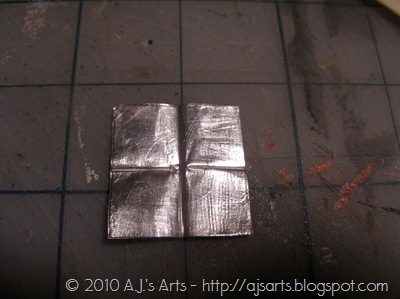 The earrings are extremely light considering how big they are approximately 1”x1”. I really like this one. 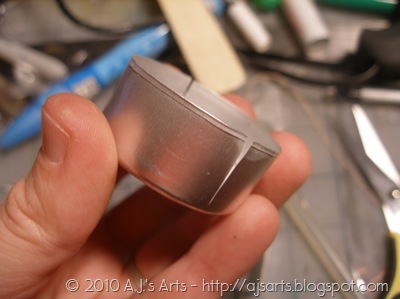 I will now be saving those little tins from my tealight candles. I can't wait to get started.